Update: Looking for 2018 stats? We've got them right here. 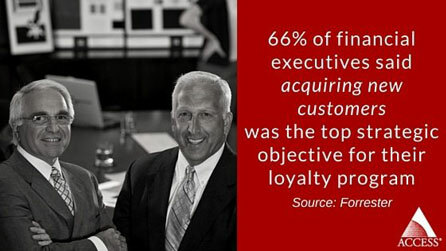 Customer loyalty is a world of moving targets. Consumer sentiment is shifting constantly, as are the strategies and tactics loyalty marketers utilize. It's hard to stay on top of what's happening in the industry. We want to make it a bit easier for you. Just as we did in 2015, we're going to compile every new, relevant statistic around customer loyalty and loyalty marketing. This page will be a bit bare for the next few weeks, but it'll fill up quickly as more research is published. Every new piece of data added here will also be added to our ultimate collection of loyalty statistics, which encompasses every year (though we try to eliminate stats that are older than four years or so). When relevant, data from this page will also be added to our ultimate collection of Millennial loyalty statistics, or our employee engagement statistics page. If those aren't enough stats for you, then we also maintain a collection of coupon statistics. Hey, we're stat geeks!